Dystopianism is back in vogue. 1984 and The Handmaid’s Tale have both recently topped bestseller lists, with other classics making appearances as well. The reason for this sudden surge of interest should be no mystery; science fiction is, after all, a reflection of our hopes and fears for the future, and fear undoubtedly rules the present. Yet dystopia—or, more accurately, dystopianism—never really went away. 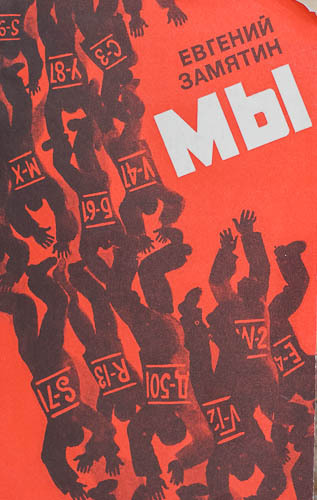 Indeed, in the 96 years since Yevgeny Zamyatin published We, authors working inside and out of genre have offered a broad spectrum of dystopian visions. Many are quite distant from the statist nightmares imagined by Zamyatin, Huxley, Orwell, Bradbury and Atwood. Postapocalyptic fiction, for example, presents readers with a stateless dystopia, in which the collapse of the modern state redefines the human life as nasty, brutish and short. And gritty or grimdark fantasy is arguably another form of dystopianism, where societies are marked by the arbitrary use of violence and a near constant state of war. Meanwhile, the classic statist dystopia has ruled the burgeoning YA space for nearly a decade—first with the breakout success of Suzanne Collins’ Hunger Games trilogy, and followed by the popular Divergent and Maze Runner franchises. This broad definition may surprise some readers, or strike them as unreflective of established convention, which holds that dystopian fiction relates narrowly to life under oppressive states. This convention exists, however, for strictly historical reasons. Dystopianism, in essence, emerged as an inversion of utopianism, a fictional style with roots in philosophy (think Plato) that grew in popularity alongside the Romantic movement of the late 19th century. At that time, growth in literacy, global connectedness and faith in the notion of scientific/technological progress were fueling interest in a broad range of idealistic movements, from the individualized (e.g. liberalism and democracy) to the communal (e.g. nationalism and socialism). Unsurprisngly, most romantic works of utopian fiction are political treatises barely disguised by their science fictional clothing. Take News from Nowhere by William Morris (1890), in which the Victorian protagonist wakes to find himself in a post-scarcity future marked by socioeconomic egalitarianism, volunteerism and communal rather than state authority. The central idea, then, is to use science fictional extrapolation as a mechanism through which to explore what society could be like if only certain (great) ideas would be implemented. Zamyatin, who authored the first modern dystopia, simply took this formula and reversed the polarity—telling the story of atomized individuals trapped in a Marxist-Leninist nightmare desperately seeking to assert even the most rudimentary form of individualism. Huxley followed with Brave New World, where eugenics, corporate “Fordism” (i.e. labor mechanization) and psychosocial manipulation achieve the same effect. Orwell’s 1984, the most widely read of the three foundational texts, combines elements of both earlier works. And all three reflect the deep anxiety, embedded in the 20th century zeitgeist, of a mechanized terror that reduces individuals to cogs in the machine. Later dystopias play a similar role, albeit reflecting somewhat different conceptions of the oppressive state. Fahrenheit 451, published at the height of McCarthyism, takes place against a backdrop of anti-intellectualism and the criminalization of knowledge; and The Handmaid’s Tale, published at the precise moment when fundamentalist Christianity became a force in U.S. electoral politics, imagines class and gender oppression in a science fictional theocracy. Like their forebears, these books follow the established protocol of juxtaposing the individual against oppressive state and society. 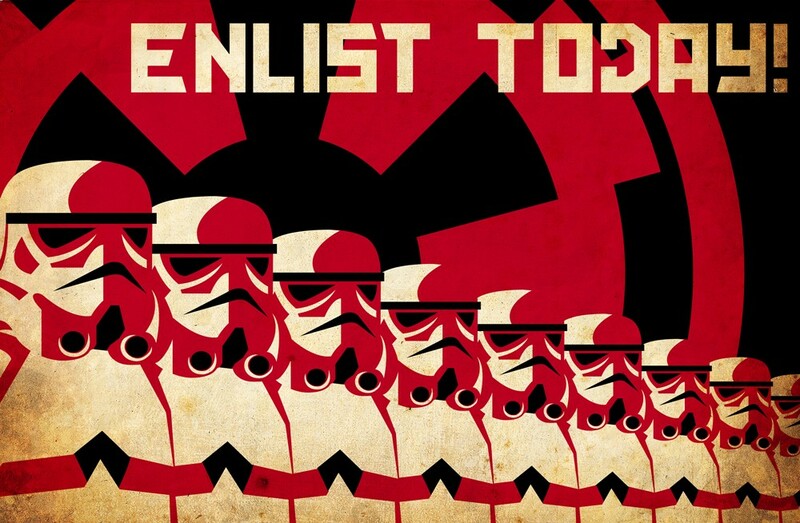 But is statism really intrinsic to the concept of "dystopia?" I would argue that no—it’s not. Rather, this is defining a genre by its tropes, which Ian Sales has rightfully critiqued as a rationale for defining genre boundaries. Instead, I’d argue that dystopianism is defined by the extrapolation of our sociopolitical nightmares onto invented worlds, whether they by futuristic or fantastic. Dystopianism, furthermore, exists for the express purpose of theorizing about the present. Thus dystopianism can and should encompass other forms of extrapolation beyond those portrayed in the classic dystopias. While one group of 20th century writers envisioned futures defined by terrifying, statist modes of oppression, another began questioning what would come after nuclear war, pandemic disease, ecological extinction event or anthropomorphic environmental disaster. These works are commonly labeled postapocalyptic, in reference to their “creation event,” but nearly all center on forms of precarity engendered by a breakdown of political and social institutions (rather than their repurposing for oppressive means by a modern state apparatus). In other words, stateless dystopia. Postapocalyptic fiction is not always straightforwardly dystopian. The subset of “cosy” postapocalyptic fiction, best exemplified by Earth Abides, is distinctly utopian—cheerfully (some might say naively) imagining better worlds built off the ashes of this one. Others, like Octavia Butlers Parable of the Sower and Emily St. John Mandel’s Station 11, juxtapose the extreme precarity and threat of living in stateless spaces with the indomitability of the human spirit and its creativity in adapting to circumstances. And other works, like Alas Babylon and On the Beach, have too short a time horizon to really explore what comes after. 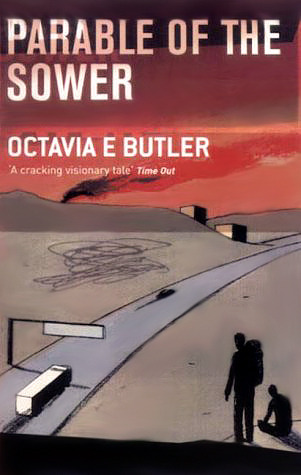 Most works of postapocalyptic fiction, however, present the reader with straightforwardly bad places where bad things happen as a matter of course, and as a consequence of the collapse of both political and social institutions. Like The Road, in which a boy and his father navigate an inherently violent and threatening post-disaster landscape; or Marcel Theroux's Far North, where the prevalence of such landscapes enables the would-be architects of a more traditionally Orwellian nightmare to begin construction of such a state out of the chaos. The absence of the state is what defines these envisioned futures as dystopian. While dystopianism is most commonly associated with science fiction, there is a distinctly dystopian streak evident in fantasy—especially in fantasy’s recent, gritty turn. 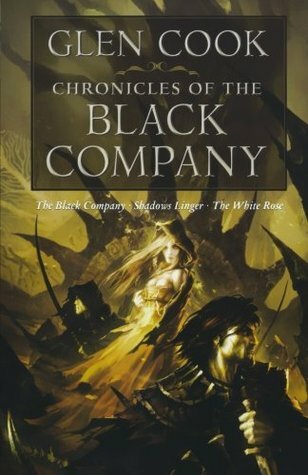 Glen Cook’s pathbreaking Chronicles of the Black Company centers on a mercenary company warring on the side of oppressive tyranny against a fanatical religious movement. A Song of Ice and Fire presents a world in which violence is arbitrary, cruel and ever-present. And Steven Erikson’s Malazan Book of the Fallen is replete with dystopian themes of misery, corrupt, falling societies and cultures, and endemic warfare. Dystopian themes are also evident in epic fantasy that isn’t normally classified as gritty or grimdark. Take Brandon Sanderson’s Mistborn series, which is set in a fairly classic statist dystopia, or N.K. Jemisin’s Dreamblood series, with its society focused on harvesting dreams, the most powerful of which are found at the moment of death. Those who are deemed too corrupt or elderly to contribute to society are killed by the Gatherers, their dreamblood extracted in the process..
And one could equally argue that the bulk of traditional epic fantasies, in which stable polities are threatened with the unending terror of conquest and subjugation by malevolence, are animated by fear of dystopia! However, unlike Mistborn, few actually examine what life is like under said malevolence. Yet dystopia looms nonetheless. While dystopianism is evident in these corners of adult-focused genre, it practically rules the burgeouning YA space. This began in 2008, when Suzanne Collins’ Hunger Games trilogy emerged to fill the popular void left by Harry Potter. Though derivative (of Battle Royale especially), Hunger Games became a bona fide sensation, leading to a high profile film series and numerous imitators—many of which, like Divergent or Maze Runner, are now multimillion dollar franchises themselves. And postapocalyptic YA, most of which fits into our category of stateless dystopia, is nearly as popular among YA readers. Utopian Undercurrents: whether and to what degree the work's dystopianism underlies a utopian understanding of politics, society, etc. The 1980s represent one such period. The Empire in Star Wars, one notes, is essentially a statist dystopia, while George Lucas paid more direct homage to his literary forebears in THX1138. For that matter, nearly every action/sci-fi flick from the '80s takes place within, or makes reference to, dystopian futures. So do the most memorable science fictional comics of the day: Judge Dredd, Akira, Days of Future Past, V for Vendetta, etc. And cyberpunk is arguably dystopian as well. Similarly, we will try to understand what social and cultural factors may have fueled the emergence of YA dystopias during the 2000s, or how current world geopolitics might alter our view of dystopianism in entertainment media. Conversely, we will ask whether interest in dystopia necessarily reflects underlying concerns with the direction of the world, or whether one may talk of dystopia in purely aesthetic terms. In the end, our goal is to come to some sort of understanding--messy as it may be--about what dystopianism is and why we are attracted to it. And, of course, we hope to have fun in the process. Dystopian Visions will run through March and April, 2017, with stories posted every Monday and Wednesday.